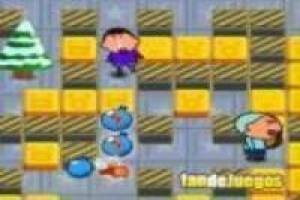 The classic Bomberman arrives with a new version starring the most hooligan child on television. 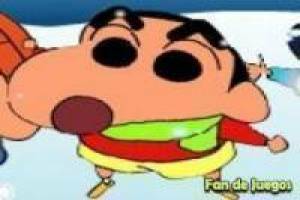 We are talking about Shin Chan, the cartoon character who does not like pepper or school. You will have to choose which of the characters in the series you are going to live this adventure and we will start in a battle in the purest Bomberman style. Use the space bar to place the bombs and the arrows of the direction cursor to move around the map. Get improvements with which to walk faster, make the explosion of your bomb reach more space or be able to place more than one bomb at the same time. Catch your opponents to explode the bomb and get to be the last survivor. 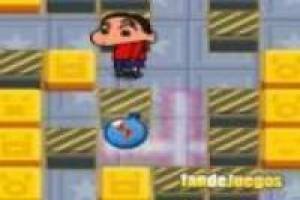 Enjoy the game Shin chan, Bomberman, it's free, it's one of our Cartoon network games we've selected.